A bleeding communion wafer is drawing attention in Utah. It is being hailed as a miracle by the faithful. Why is blood coming out of the bread when the blood is in the cup? That’s my question. I’d like to see some wine leak bread, now that, my friends, would be a miracle. 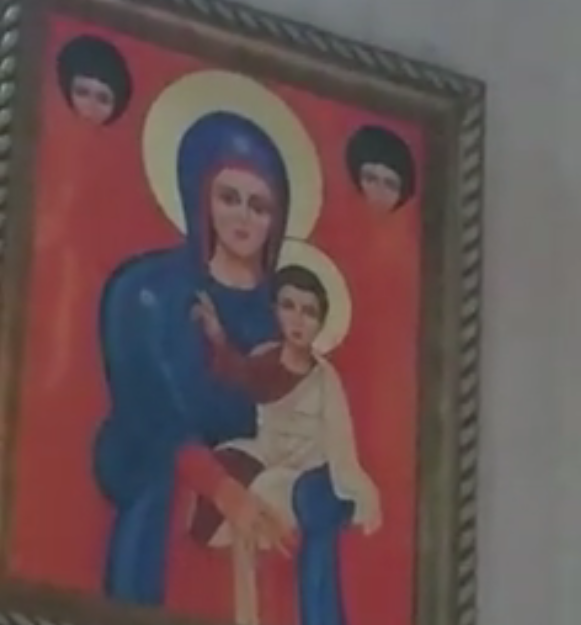 A painting of the Virgin Mary likes the Lord’s Prayer so much, she prays along with people. There is even video footage of the miracle. I don’t even know how there are atheists anymore. Apparently a guy was going to another guy’s house and messing with him over the past few months. Last week the guy entered the home and took a picture of Jesus off the wall and attacked the resident and then charged him with a knife. In all my years of tracking Jesus in the news, this is the first time I’ve seen a picture of Jesus used as a weapon. I would say that Jesus was definitely framed in this crime. So, of course, some hyper-sensitive anti-religion people must have this sign removed. For some reason, it’s an anti-religion group from Wisconsin that is particularly bothered by Jesus’ welcoming nature. I don’t really care one way or the other. 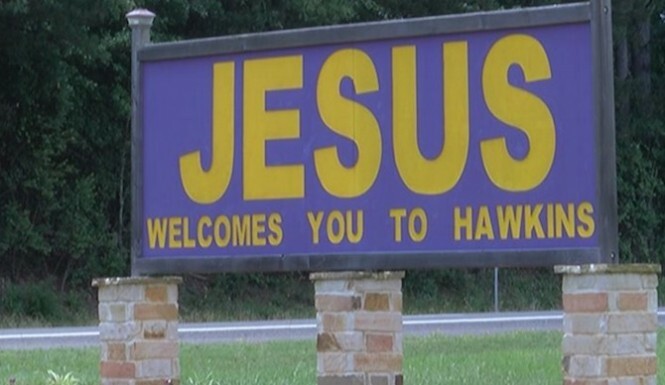 It’s not so much the separation of church and state issue that bothers me with this sign, it has more to do with the presumption that Jesus welcomes people to their town. Exactly what leads them to believe this? What inspired such a sign in the first place? Although I think the separation of church and state thing is ridiculously out of hand, I also think some of the idiocy that passes in Jesus’ name is out of hand. 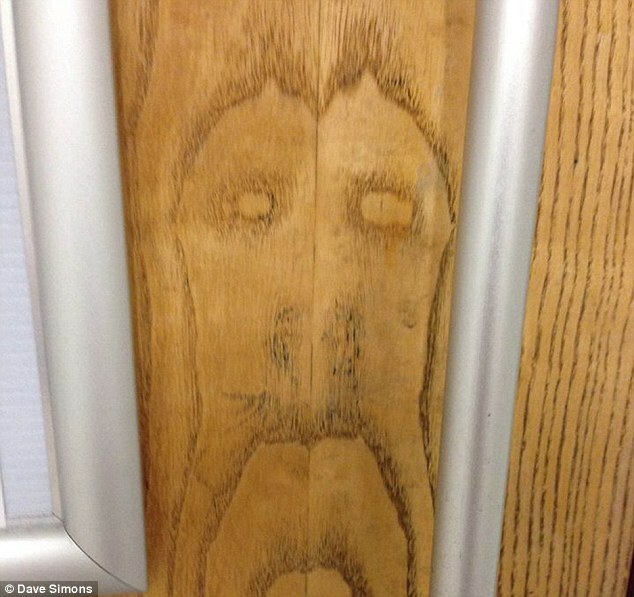 Jesus’ face was recently seen in an Ikea men’s room in Glasgow. ‘I tried to subtly snap a photo because the last thing you want is to be heard taking a photo in a toilet,’ he added. Jesus was the son of a carpenter, so perhaps He was checking out new ways of making the furniture. Either that or it takes a divine Creator to figure out how to put together Ikea furniture. “It’s almost as if God is saying there is something to pay attention to in this church,” Humphrey said. Oh wow, that last line kills me. 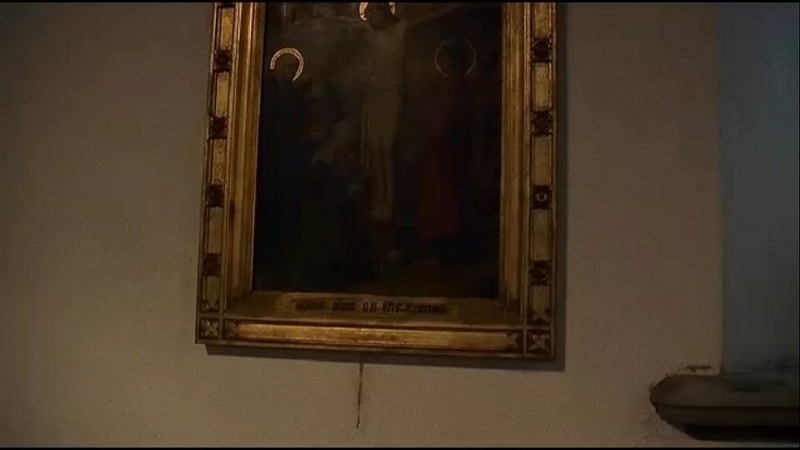 Incidentally, attendance at the church has skyrocketed since Jesus’ blood stain showed up. Which I guess makes sense since there wasn’t anything else to pay attention to in this church previously. A woman in Texas believes she has been visited by a moth with Jesus on its wings. 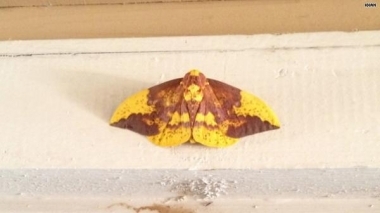 The Imperial Moth, which is brown and yellow, allegedly has the appearance of Jesus on its wings. See for yourself. She believes it is Jesus and takes it, of course, as a sign. Esquilin had been praying for a way to continue her daughter’s education, and believes that the timing of the moth’s appearance is significant. The family also discovered that the color yellow symbolises hope, and brown represents important news. So, there ya go. Jesus did talk about moths once, putting your treasure in heaven not where moths can eat it, which seems to be not consistent with her interpretation of the “sign,” but alas, it’s not the first time Jesus’ appearance has overshadowed His words. T’won’t be the last time either.